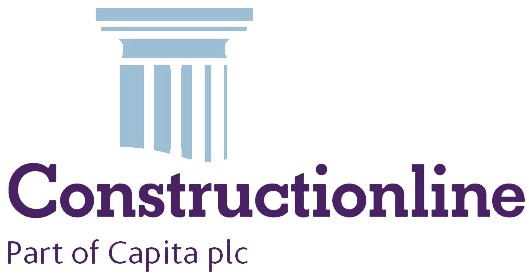 Are you looking for a concrete supplier in the Cambridge area? If so, you will be wanting to find a company which supplies top-quality ready mixed concrete, with fast, reliable delivery, superb customer service and payment options to suit you. Madmix meets all these requirements and more. We are BSI kitemark accredited, so you can be sure of our concrete’s quality. Our friendly team are always ready to help and advise, and same-day or next-day delivery are often available. We also offer a whole range of ways to pay, including cash on delivery, with competitive pricing and a price match guarantee. As leading local concrete suppliers, we offer personal service and can help to ensure you get exactly the right type of concrete for your job, as well as the right quantity. Our easy-to-use online concrete calculator will help you work out how much concrete you will need for your job, and you can talk to us if you need additional help. Since Madmix was formed in 2005, our company’s staff have developed a reputation for reliability and friendly, professional service. You deal with the same people each time, so Michaela and our sales team will get to know you and can sort out any special delivery and access requirements. Our concrete has been awarded the BSI kitemark after meeting the BS EN 206 and BS 8500-2 testing standards, so its quality is guaranteed. Our wide range of concrete mixes includes pumpable and waterproof concrete, fibre reinforced and specific mixtures which are suitable for foundations, driveways, bases, drainage works, kerb bedding and backing. If you are unsure which type of concrete is best suited to your job, just give us a call and we can advise you – it’s all part of the service. Our concrete delivery area includes Cambridge, Ely, Huntingdon, Newmarket, Royston, St Ives and St Neots, and the surrounding areas. We offer next-day or sometimes same-day delivery options, subject to availability of mixes, and we also offer the option of early-morning or Saturday deliveries if it is more convenient for you. We deliver orders of all sizes with our fleet of 4 and 6 cubic metre lorries. Our minimum order is just 1 cubic metre, so no job is too small. We are also happy for you to collect your order from our plant. Yet another reason to choose Madmix as your concrete supplier is that we can take away any excess concrete at no extra charge, so you don’t need to worry about ordering too much. We offer a variety of payment options, so you can have an account with us, or pay via card, Bacs, or cash/cheque on delivery, whichever suits you best. Our prices are extremely competitive, and we also offer a price match guarantee if you have a written quote. Click here to contact Madmix if you want to request a quote or find out more about the services we offer. 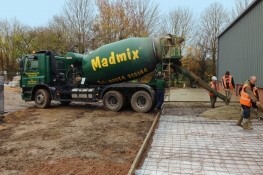 If you would like more information about our concrete mixes or want to discuss which type is best suited to your project, give us a call on 01954 212212 or email us on info@madmix.co.uk and we will be happy to advise you.